The new Donegal jersey was officially unveiled at the Abbey Hotel in Donegal town this afternoon. The O’Neills-manufactured jersey, with the Abbey Hotel on board as a tier 2 sponsor on the back, was launched as Donegal GAA entered a new era. New Donegal County Board Chairman Mick McGrath was attending his first official engagement following his election on Friday night at convention. 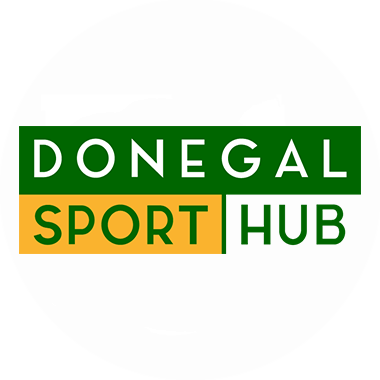 The Donegal senior footballers and hurlers are both under new management in 2018, with Declan Bonner and Mickey McCann present for the launch, as were Donegal senior football captain Michael Murphy, senior footballer Paddy McGrath and senior hurler Lee Henderson. “I’m excited as a player for another very, very good year,” Murphy said. The Abbey, as mentioned by Donegal treasurer Cieran Kelly, is regarded as a spiritual home of Donegal GAA. “It is a new era for Donegal,” Kelly said. “We have new senior football and senior hurling management. It’s a fresh start and we look forward to everyone working closely together to make sure that we remain one of the top teams from a football and hurling perspective. Kelly paid tribute to main sponsors, KN Group, and O’Neills, who he noted employ a lot of Donegal people at their manufacturing plant in Strabane. McGrath said these were ‘exciting times’ for Donegal. The Ballyshannon man said: “It is our aim to maintain our level at the moment.